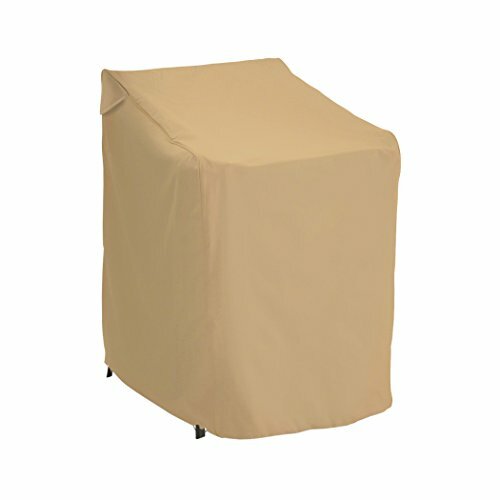 Safeguard your outdoor furniture in style with the Classic Accessories Terrazzo stackable patio chair cover. The Rain-Tite fabric protects against water, snow, sun and dirt, and is specially designed so it won’t crack in cold weather. Fits a stack of 6 chairs up to 33.5 inches L 25.5 inches W 45 inches H.